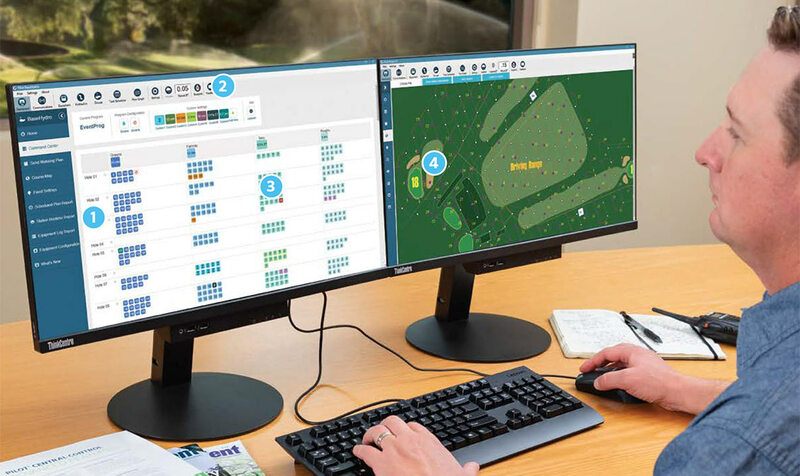 With next-generation Pilot Command Center software (CCS), you can create hydraulically safe and efficient daily golf course watering plans faster than ever before. Pilot helps manage thousands of individually controlled sprinklers in seconds — right from the Command Center. From here, you can make all watering changes from one easy-to-navigate screen. This is the fastest way to enable nightly irrigation updates for the entire golf course. Using the Command Center, simply update your watering plan according to the day’s requirements. Then decide what time you want to start watering — Pilot takes care of the rest! Pilot gives you a variety of choices so course irrigation can fit your preferred management style. Choose between minutes, depth, and evapotranspiration data to encourage more efficient application and use of water. Enhance your user experience with daily course adjustment capabilities built directly into the Command Center. From flushing needs to wet areas and hotspots, you can easily create specialized watering schedules for niche applications. Pilot is the only irrigation management tool in the industry to offer color-coding to simplify management. Colors provide a simple automatic reminder that you’ve made adjustments to specific areas and help with problem resolution. Improve your understanding of your course by adding an interactive map. Although having a map is not required, adding one allows you to run water by clicking the station symbols on the map. You can also monitor stations as they are running. The Command Center displays all your stations grouped in color-coded columns according to your management preference. Quickly select a watering group to make simple daily adjustments. Using the convenient watering palette, you can make daily adjustments in seconds. Decide what time to start watering — Pilot takes it from there. Pilot transforms your watering plan into a comprehensive flow graph that presents you with critical information — so you can irrigate with confidence. Thanks to Pilot, day-to-day irrigation management tasks are easier than ever before. Pilot is packed with powerful tools that provide a simpler way to manage irrigation on a golf course while minimizing labor and maximizing cost savings over time. Thanks to built-in redundancy, Pilot also provides peace of mind. Should the central computer ever go down, course irrigation will continue as usual because watering instructions are stored in the field equipment.